British Science Week 2017, takes place this year from 10th -17th March. 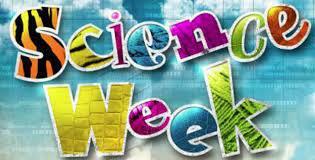 At Uxendon Manor, we will be hosting our Science week, the week beginning Monday 13th March 2017. The theme for this year’s British Science Week is “Change”, encouraging young people to think about and investigate the changes happening in the world all around us; from seasons and climate, to materials and energy. It is also a chance for young people to consider the changes they can enact to have a positive impact on the future. Robotics- The children will learn the basics of robotics and construction. After building their creations, they will have a chance to test them out. These workshops are for all children from Reception to Year 6. Forest Schools-Children will experience hands-on learning in the natural environment. These will take place in our Wildlife area. Children will need to bring their wellies and waterproofs. (Year 1-6). The Big Tidy Up-Each class will participate in The Big Tidy Up during the week. Over the past two weeks, children across the school have visited the newly hatched chicks in Nursery. Photos to follow! Climate change is having many negative effects around the world, and one area feeling it more than others is the cold icy region of Antarctica. Many wonderful wildlife species are in decline from changes to their food supply and habitat, and there is a huge gap in our understanding of the Antarctic ecosystem. As a result, Penguin Lifelines has teamed up with citizen science organisation Zooniverse to help measure changes to penguin populations. Penguin Watch is a citizen science website that is trying to understand the lives of penguins. To do this, scientists have travelled to some of the coldest areas on the planet to learn more about penguin populations. However, they need your help to examine hundreds of thousands of images of wildlife in Antarctica and the Southern Ocean that have been taken over the past three years. Get involved and be a part of the conservation effort! Try the Penguin watch task below.